Take your photography skills to the next level with FGAE camera app that's got everything you need to make your photographs pop. 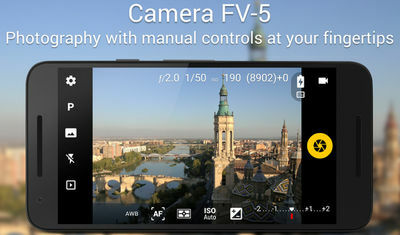 Camera FV-5 pro version is an advanced tool for professional photo shooting and processing. It features DSLR-like manual controls and takes raw images just like the most expensive cameras do. You can use the app's automatic parametres or control them manually. 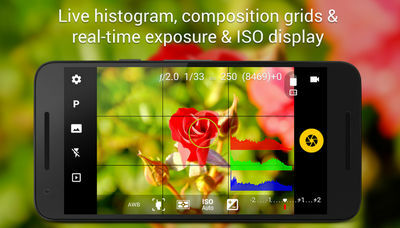 You get real-time settings for exposure compensation, ISO, focus mode, etc for the best shots possible. You also get realtime DSLR-like viewfinder display with exposure time, aperture, and the whole nine. JPEG, true 16-bit RAW in DNG format*, and lossless PNG photo capturing formats, perfect for post-processing, exclusive to Camera FV-5 full version. - New: added support for manual shooting controls to the Motorola Moto G4, G5, G5 Plus, Z, Z Play and Z Force (ISO, manual exposure and manual focus).